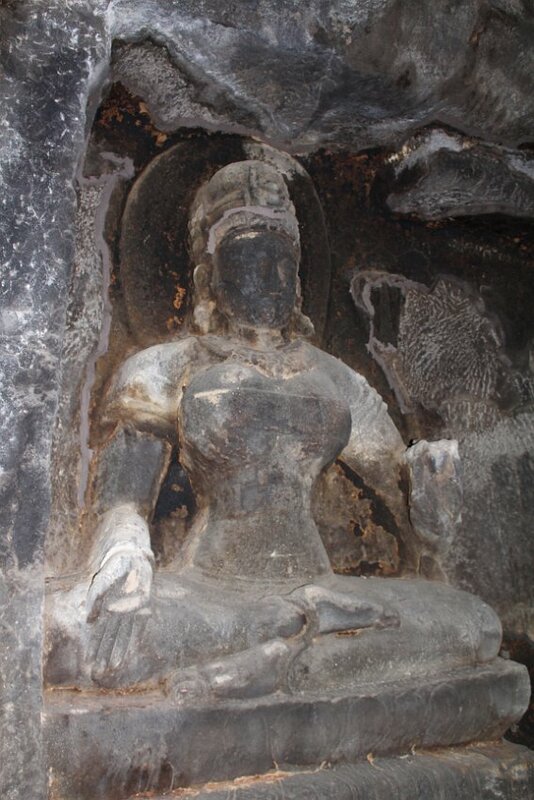 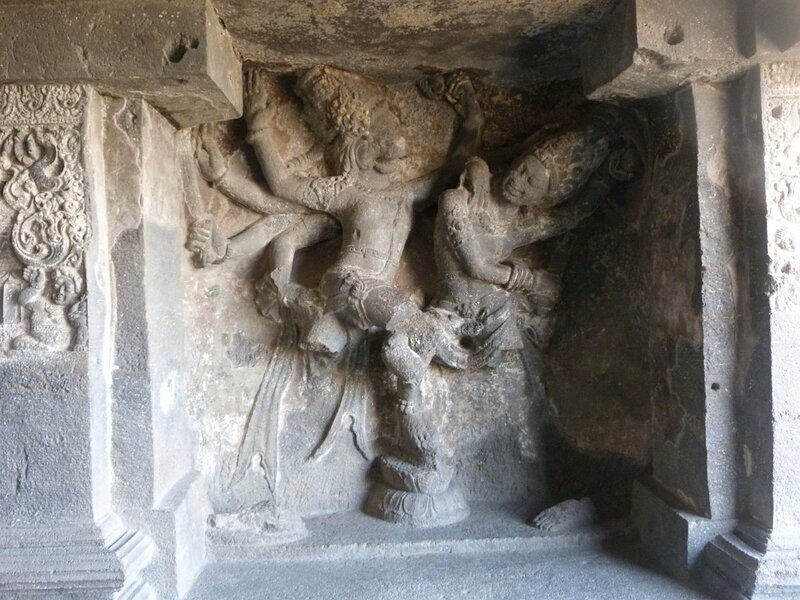 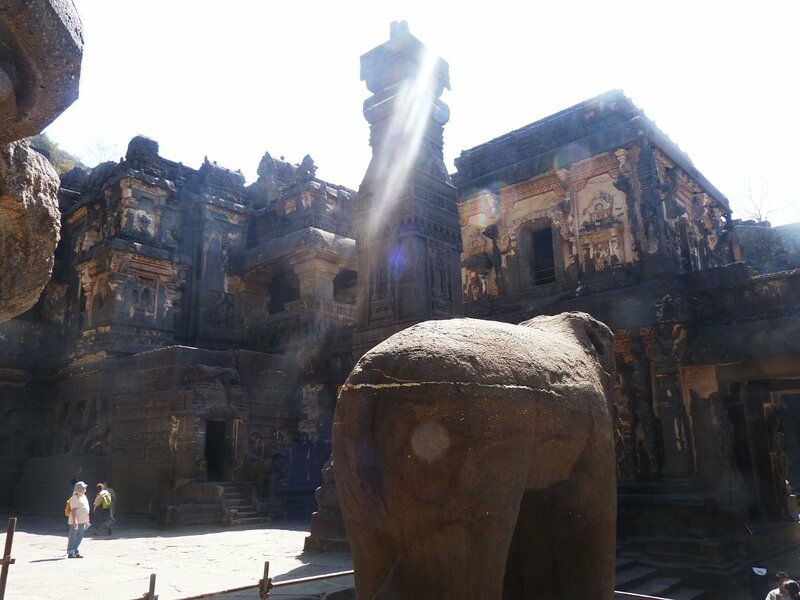 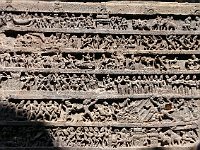 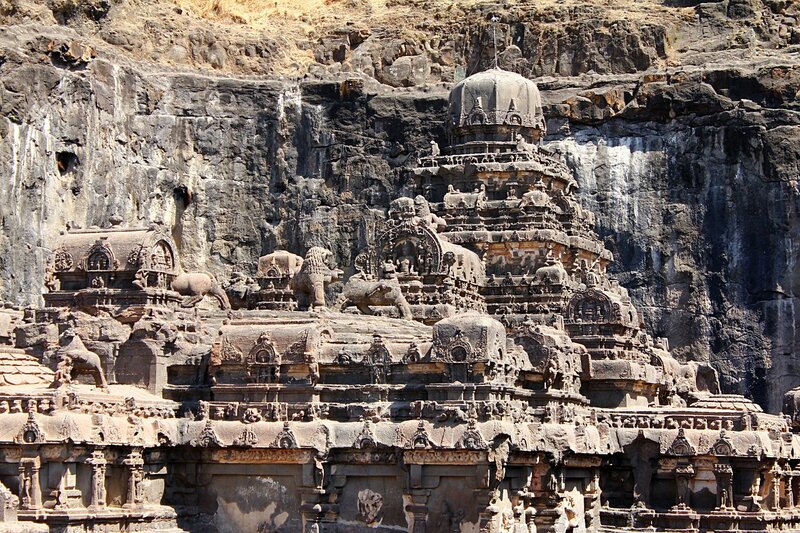 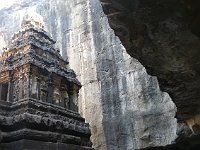 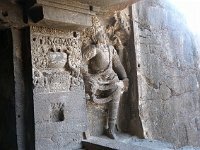 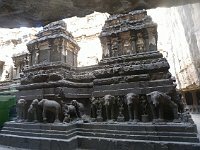 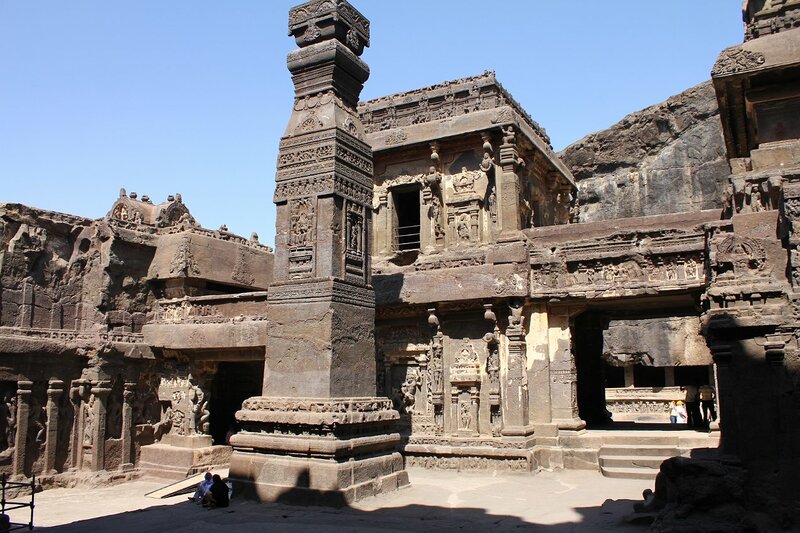 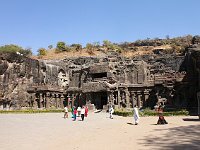 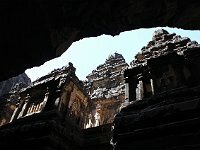 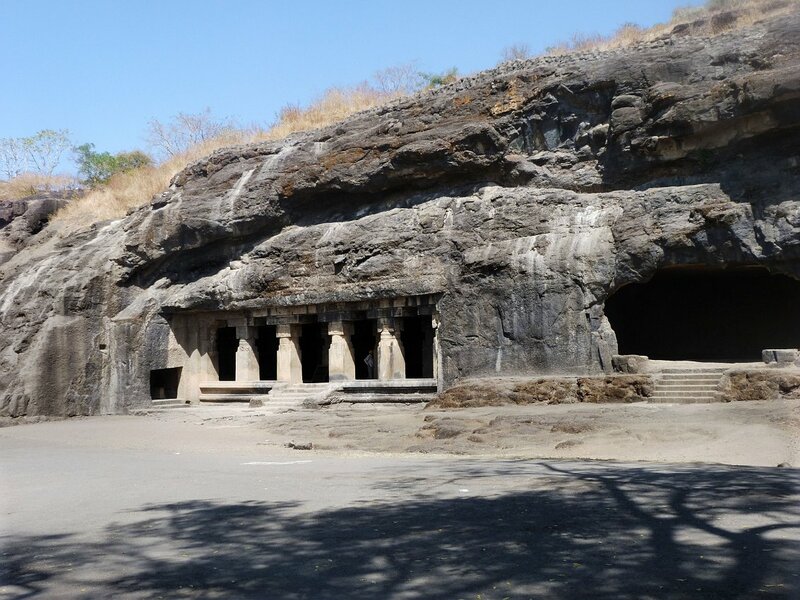 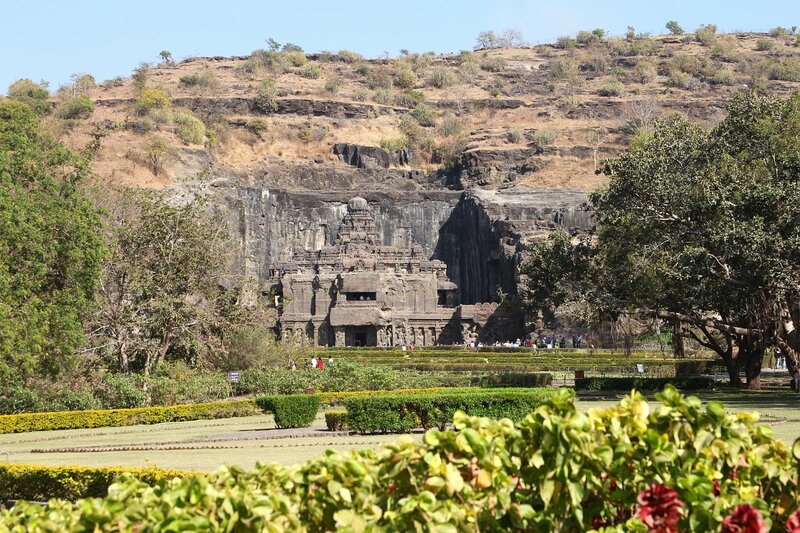 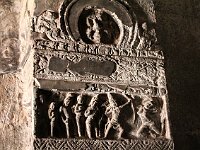 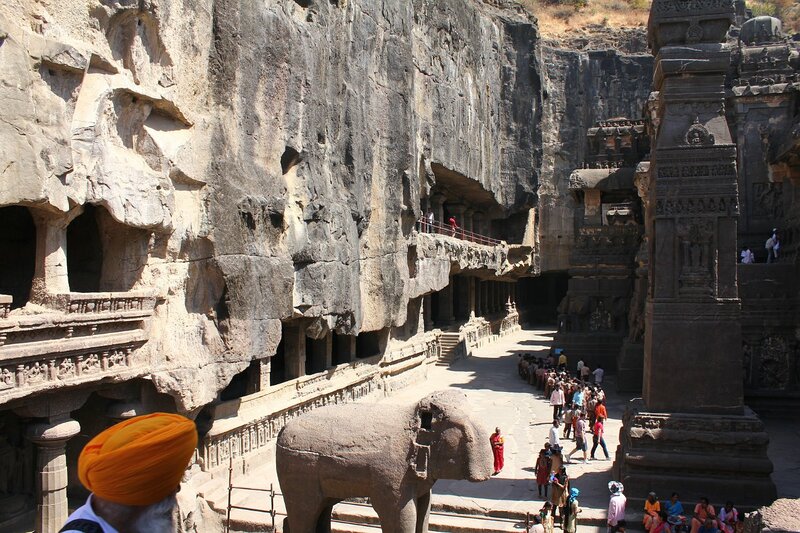 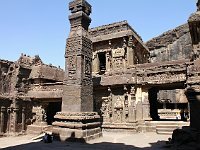 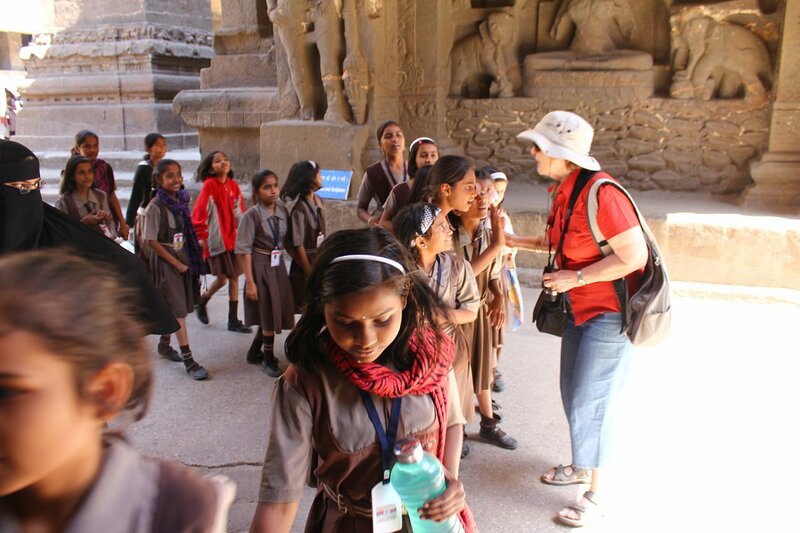 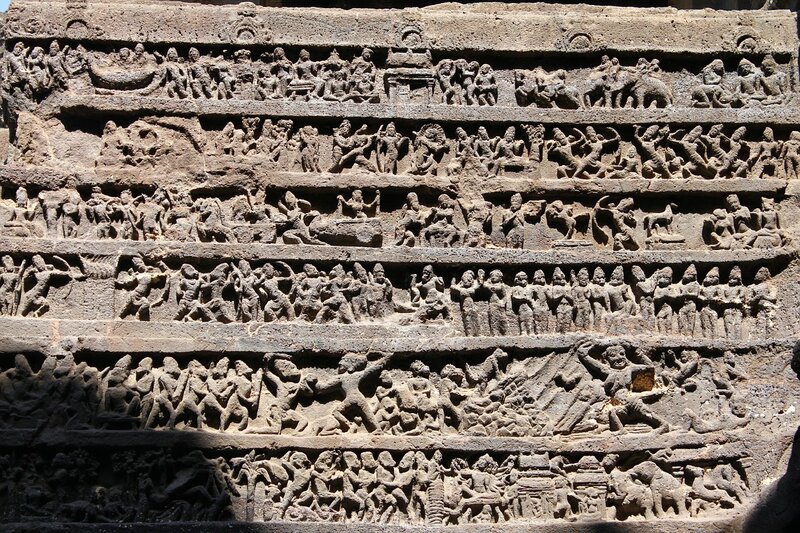 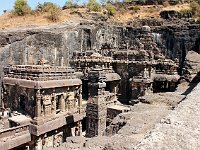 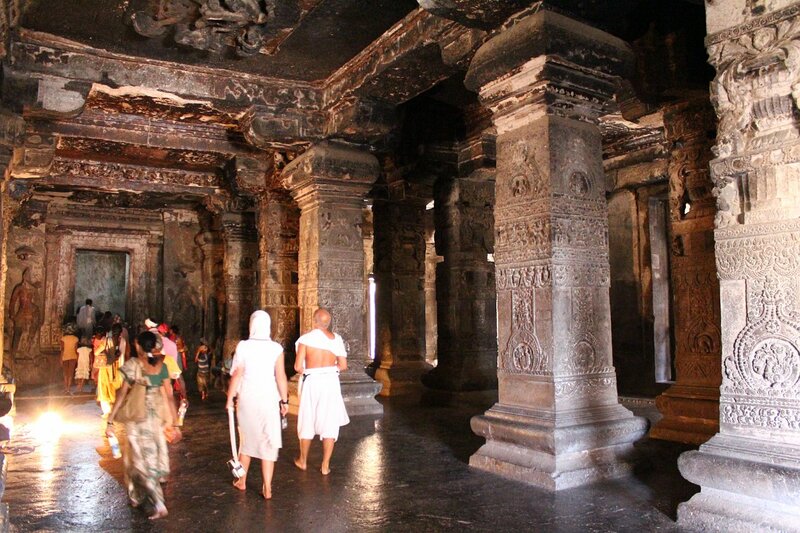 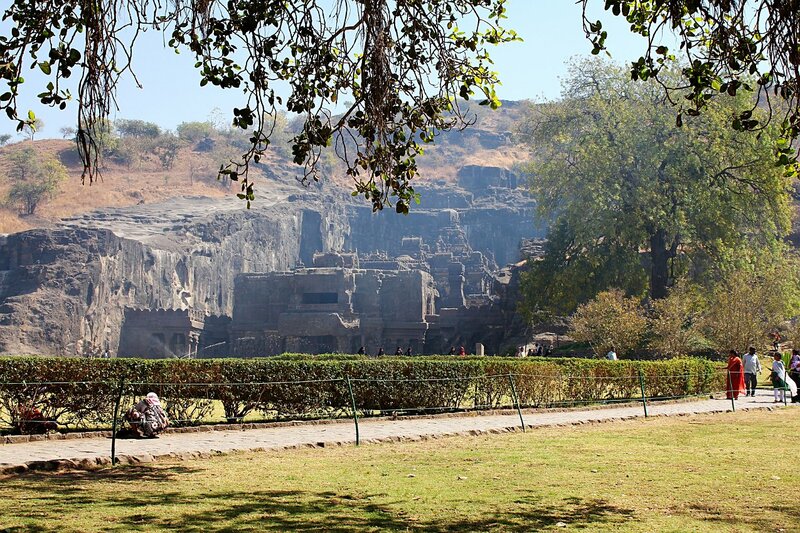 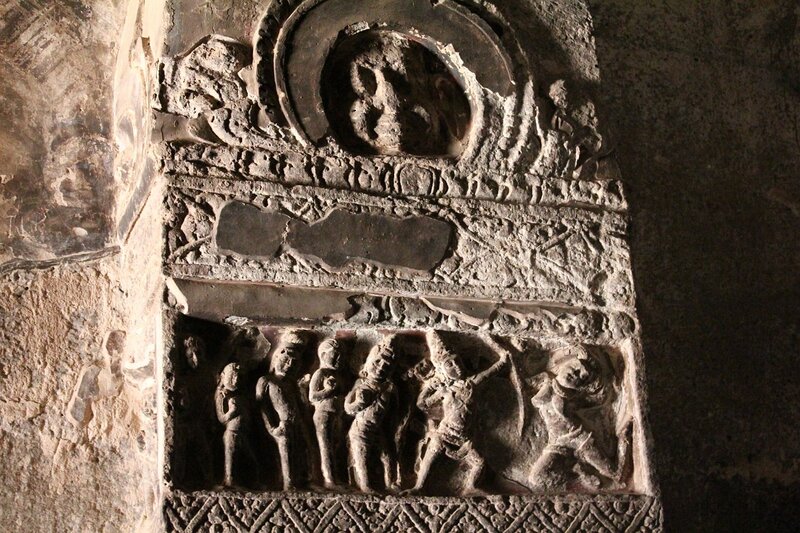 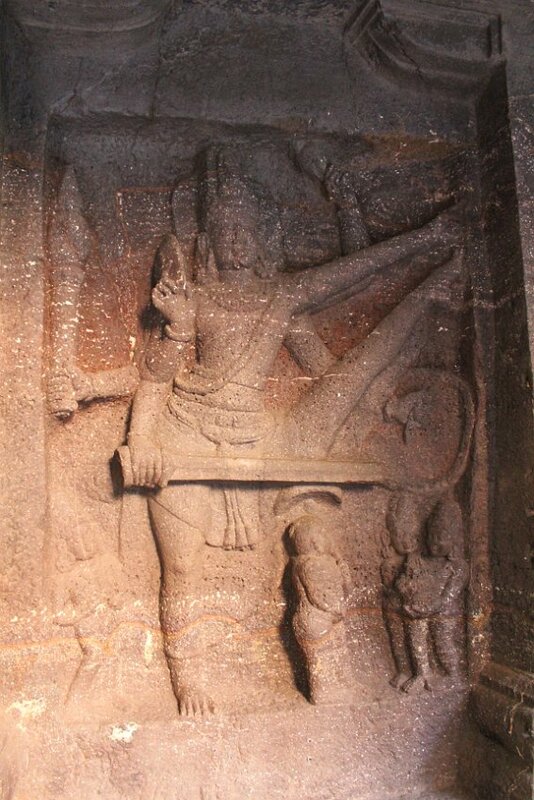 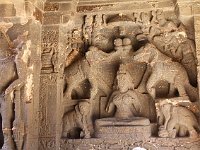 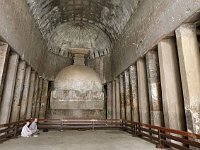 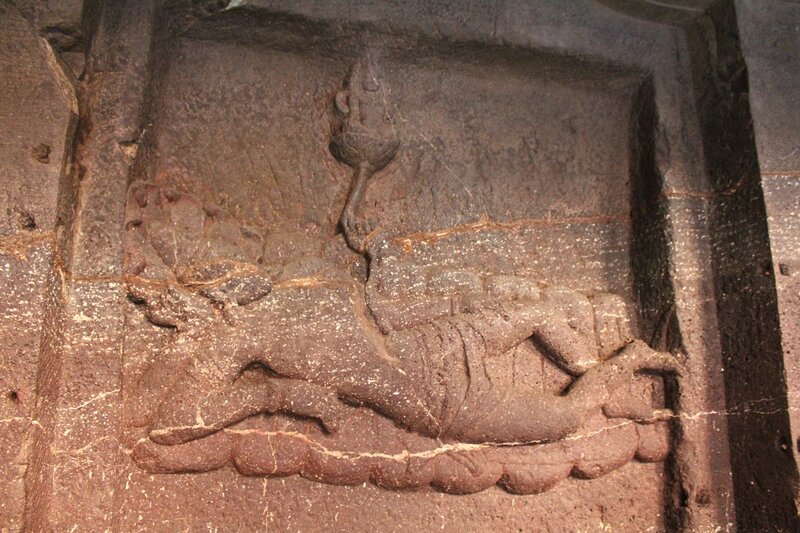 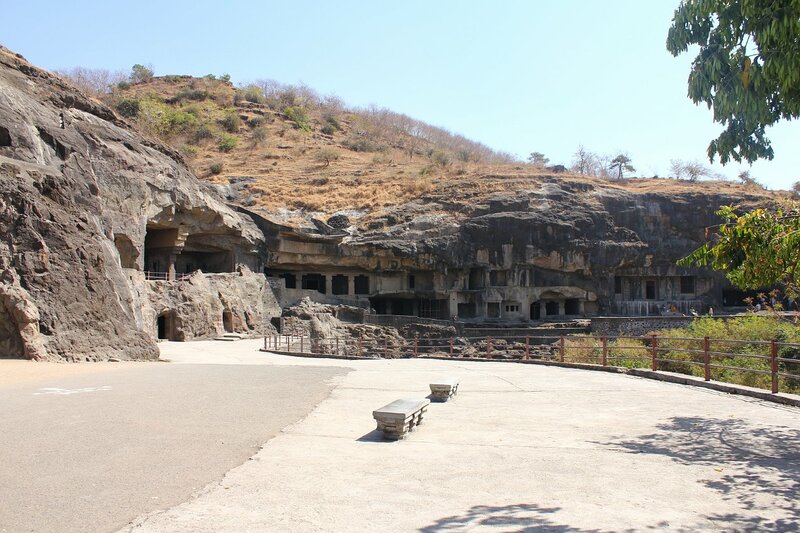 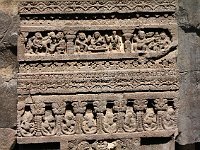 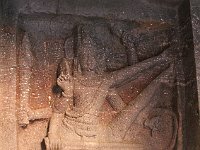 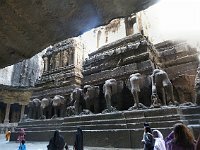 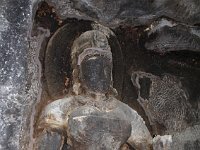 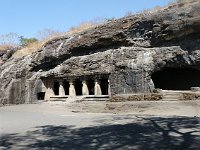 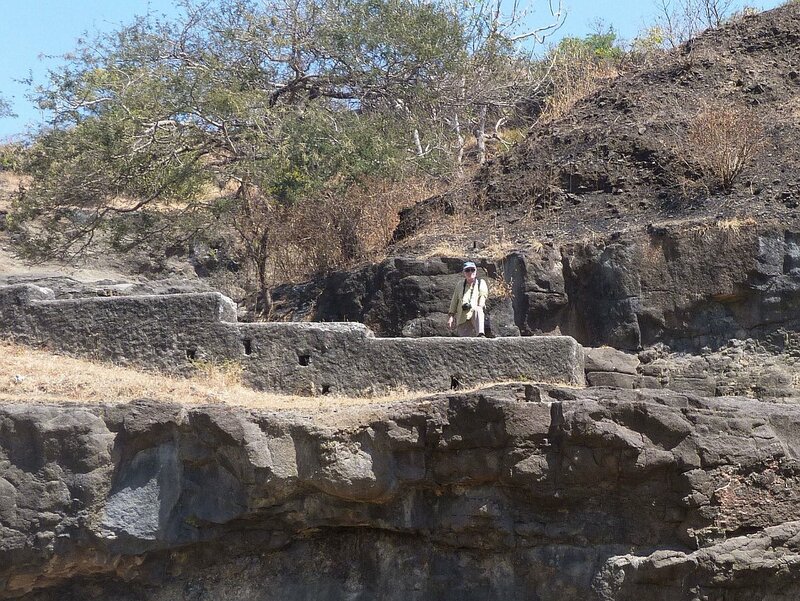 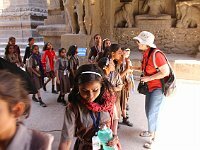 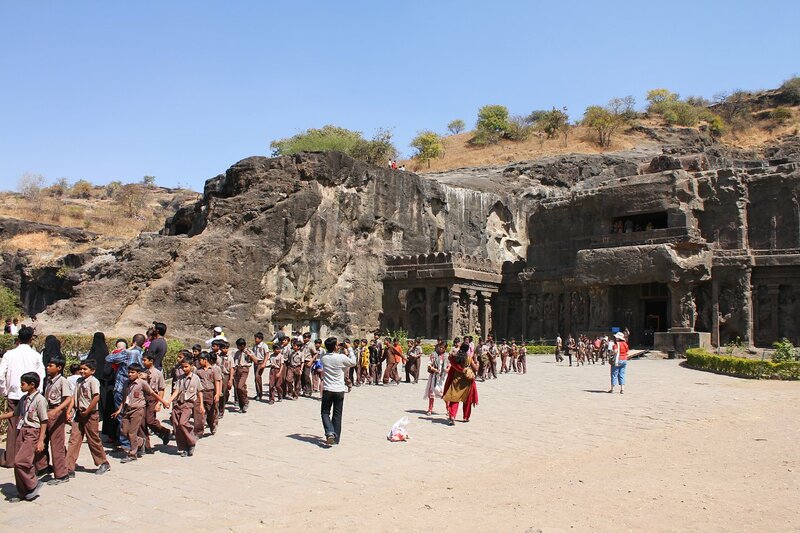 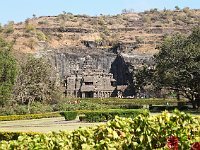 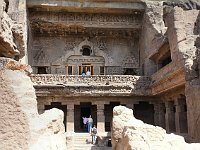 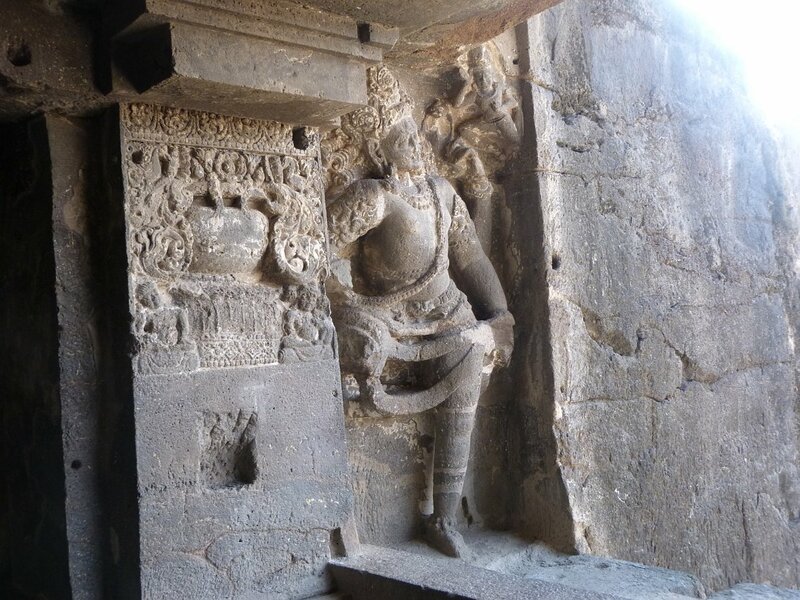 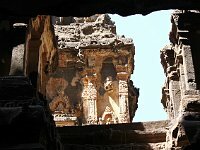 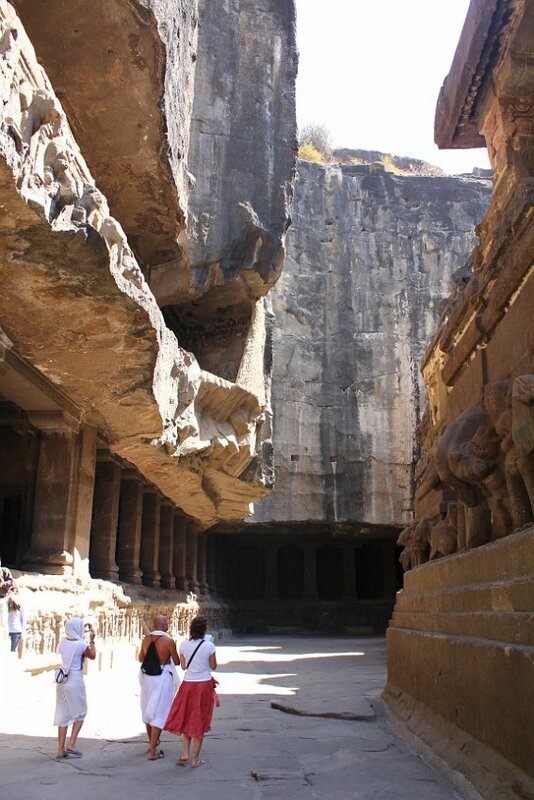 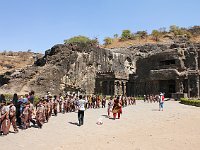 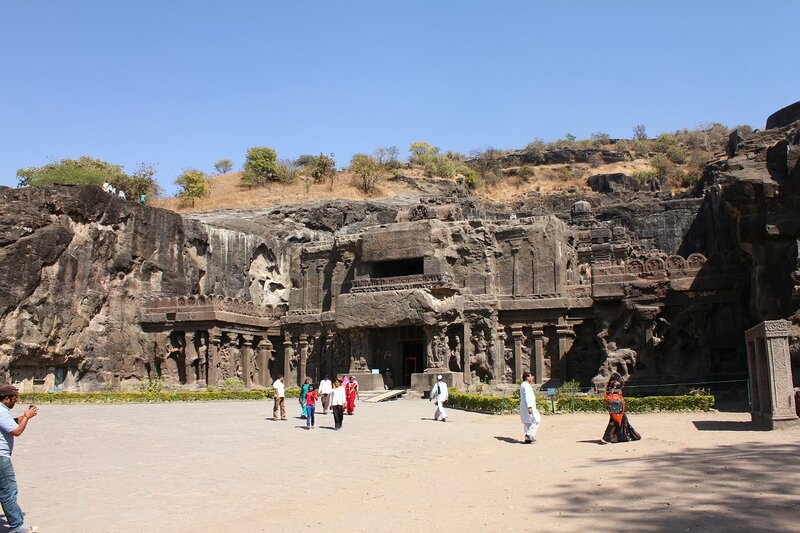 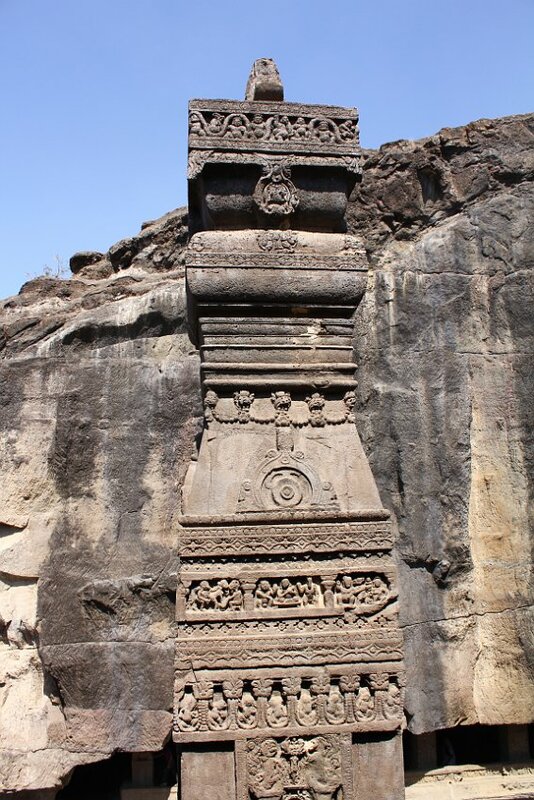 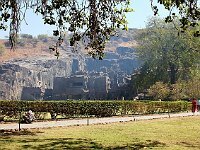 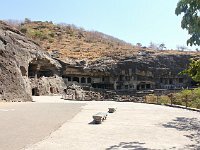 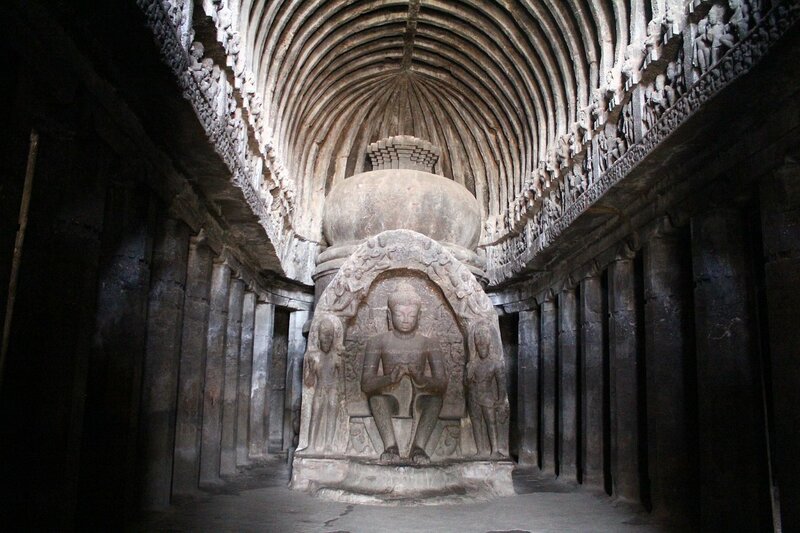 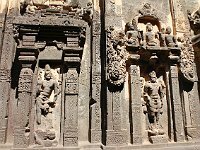 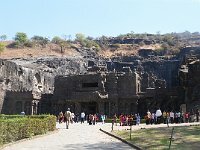 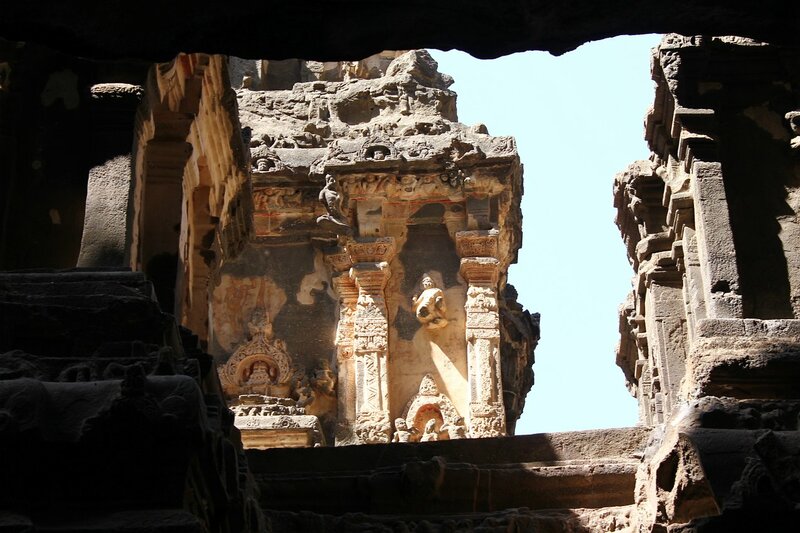 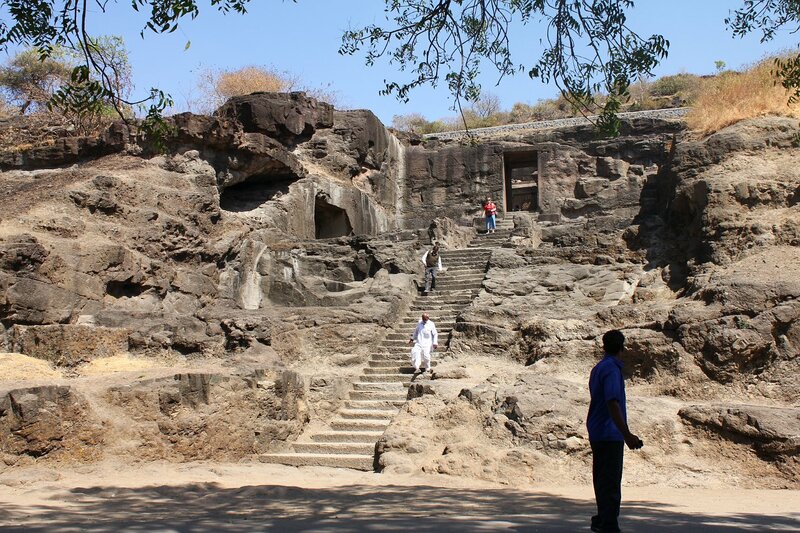 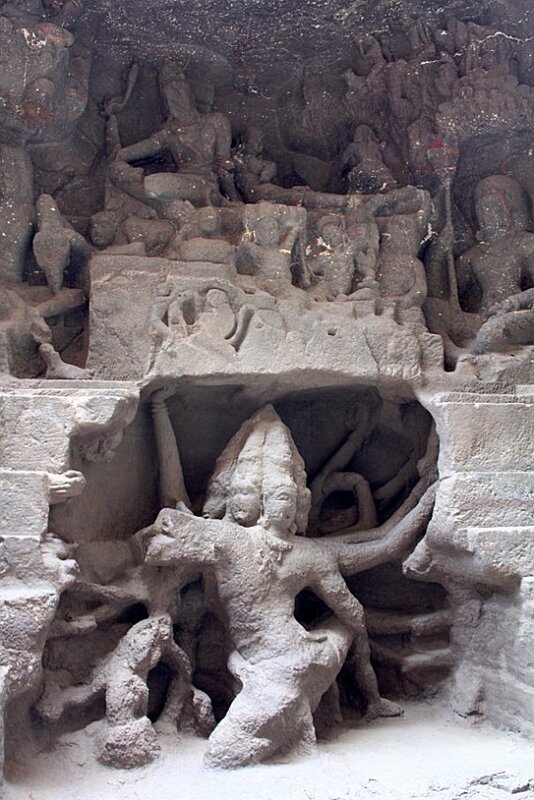 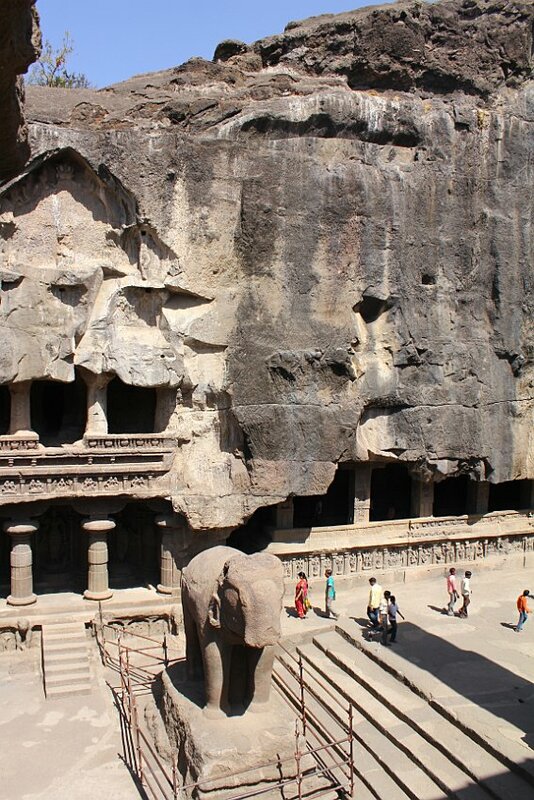 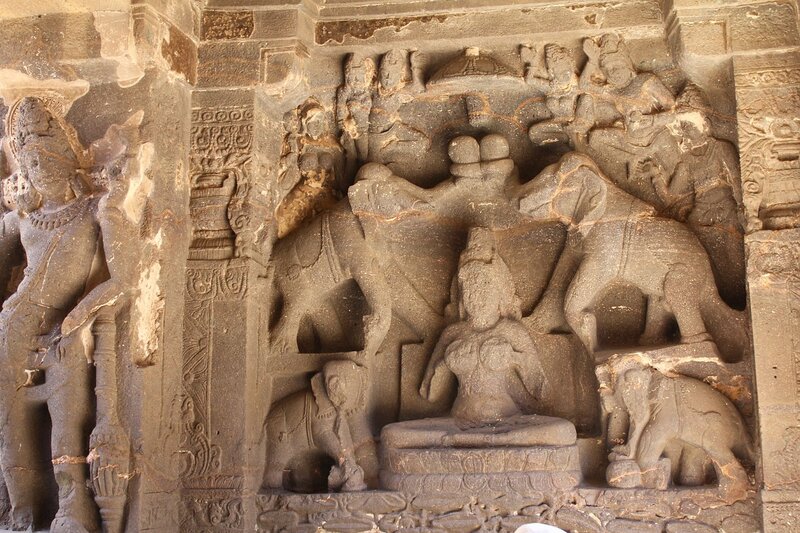 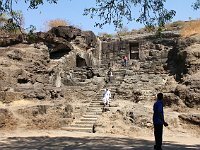 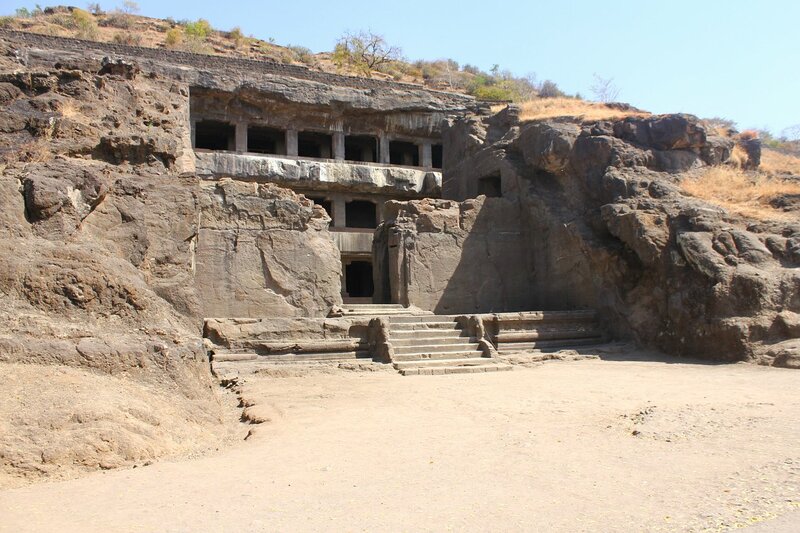 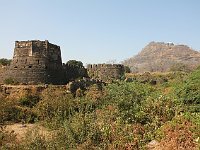 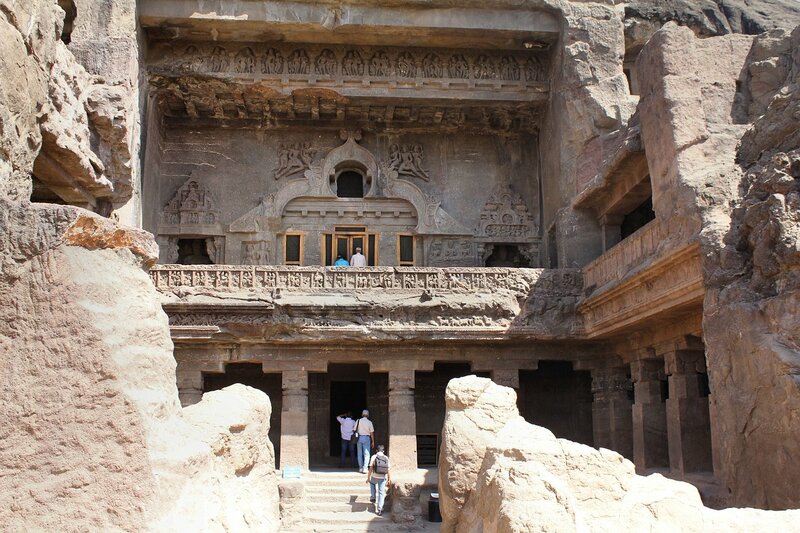 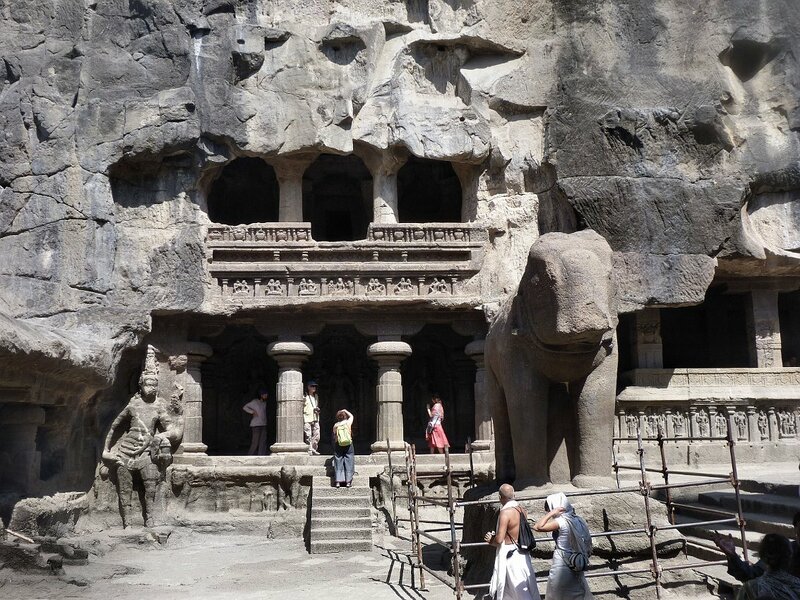 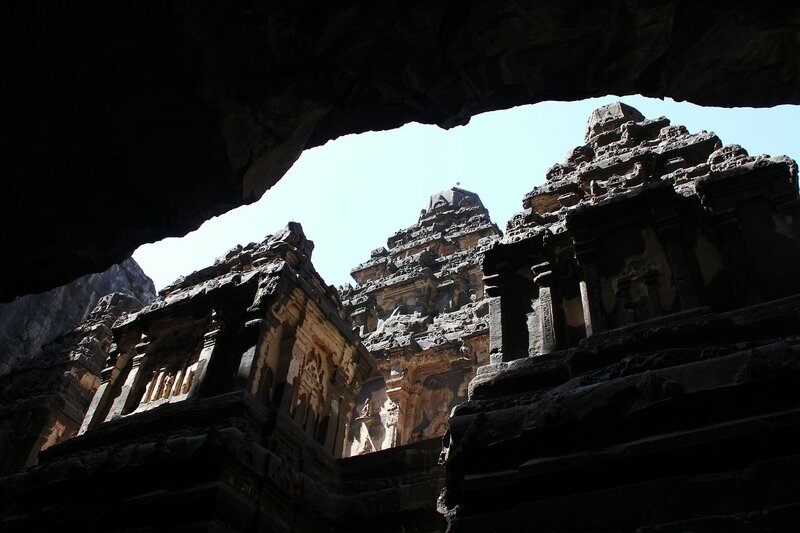 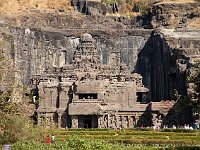 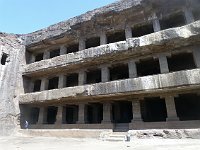 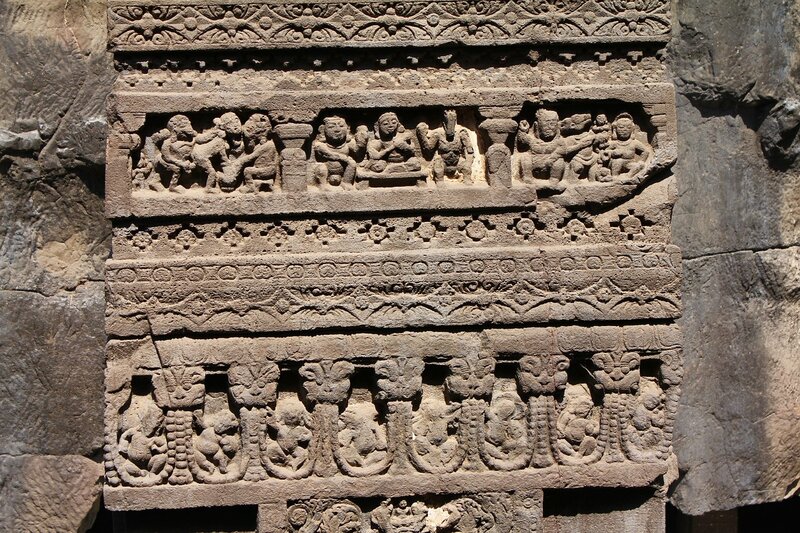 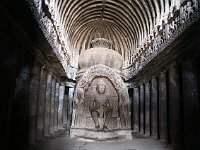 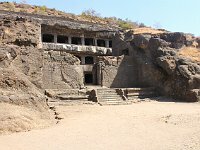 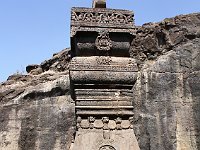 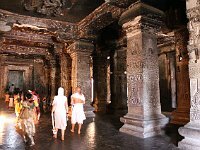 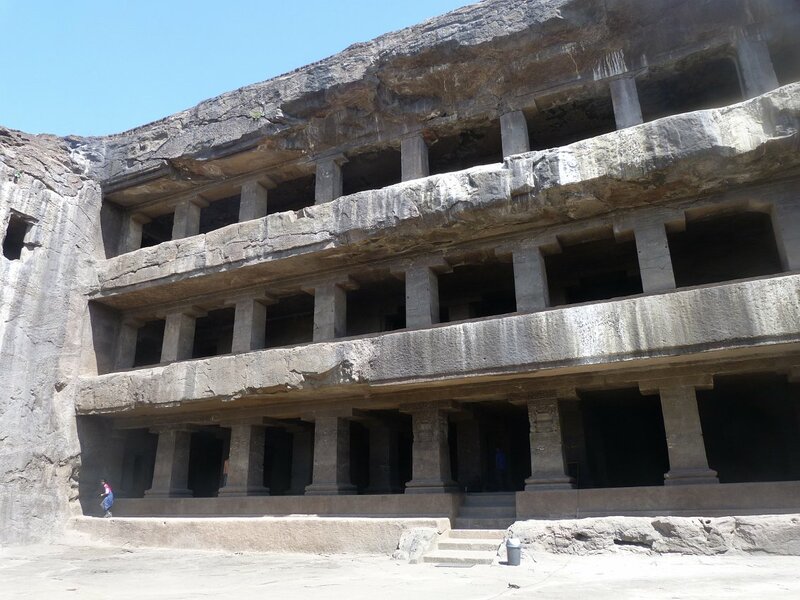 The Ellora cave temples were carved by Buddhists, Hindus and Jains from the 5th to 10th centuries. 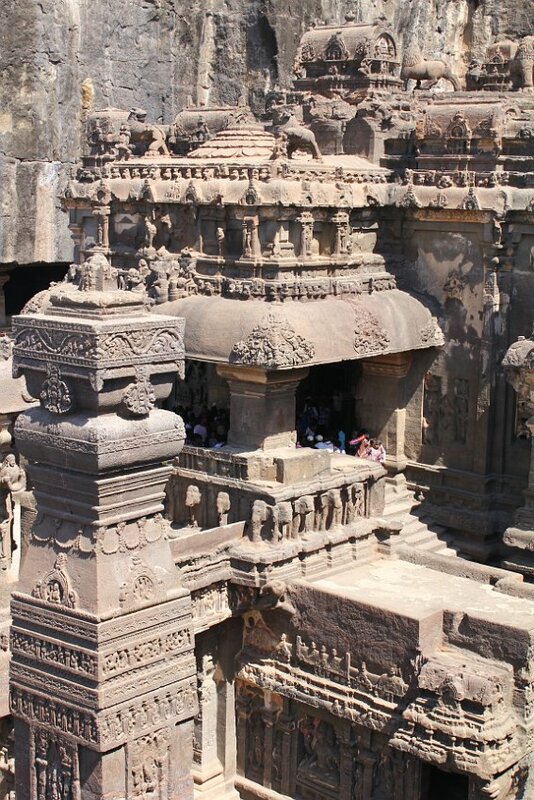 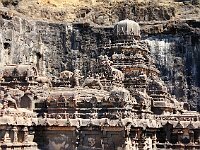 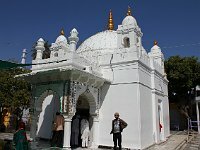 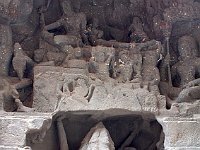 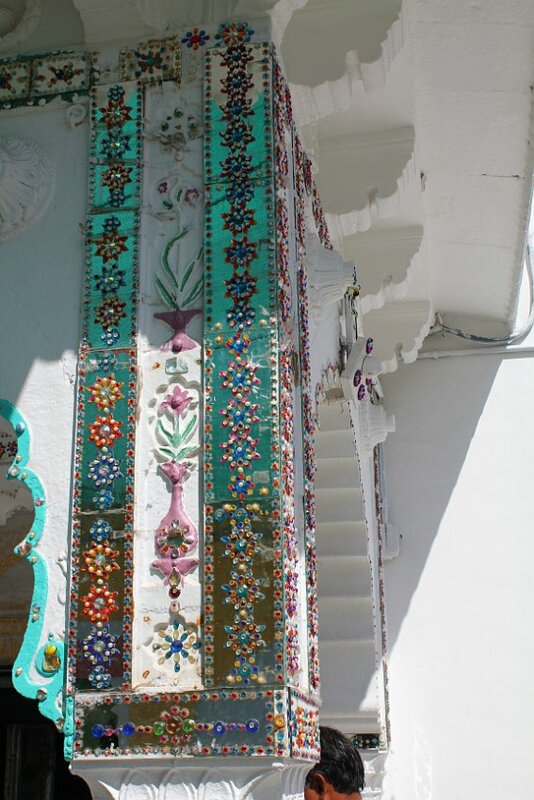 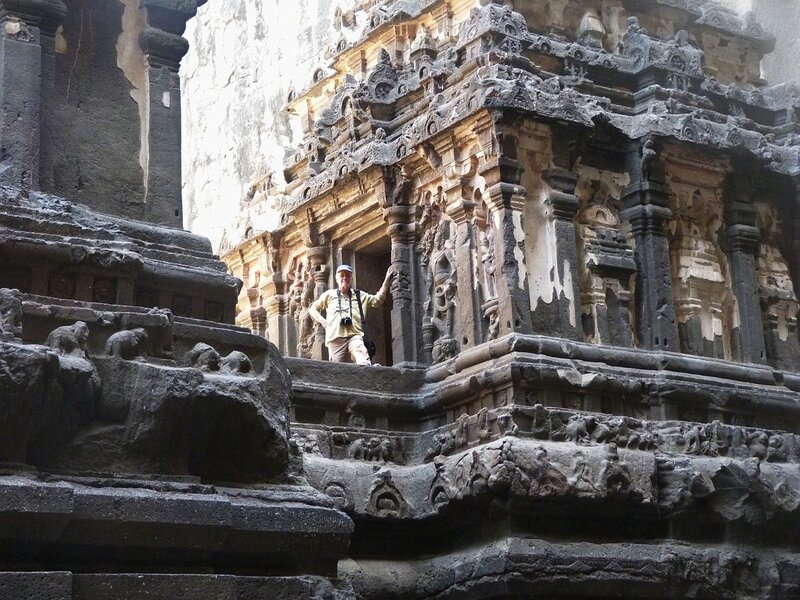 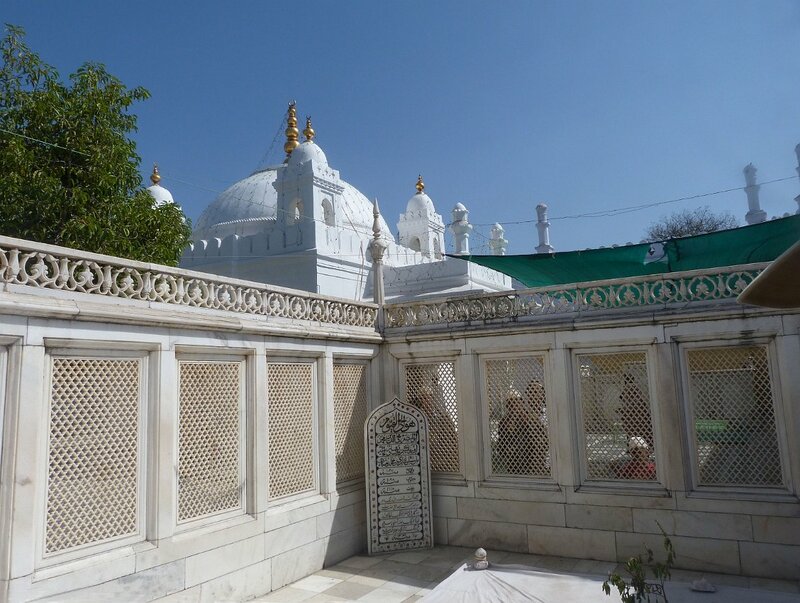 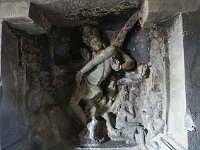 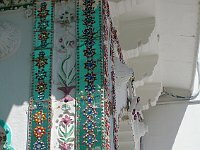 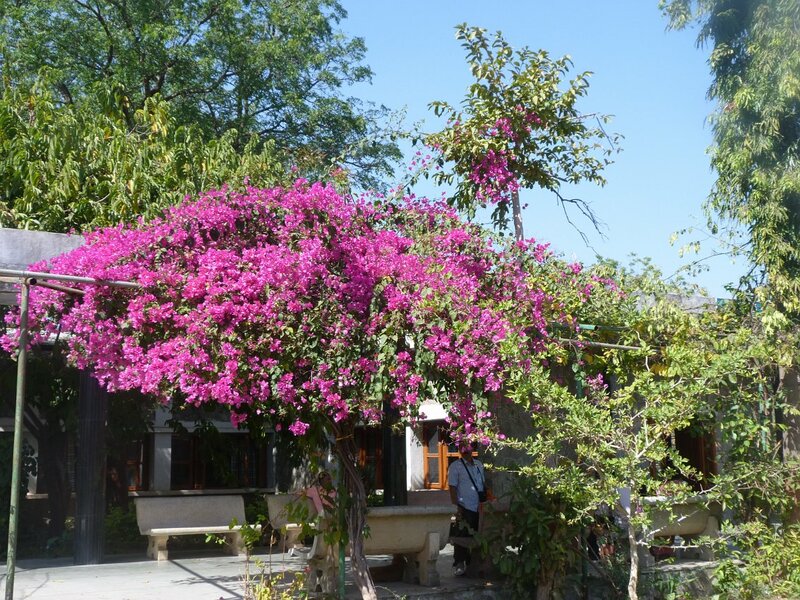 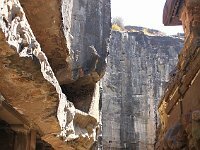 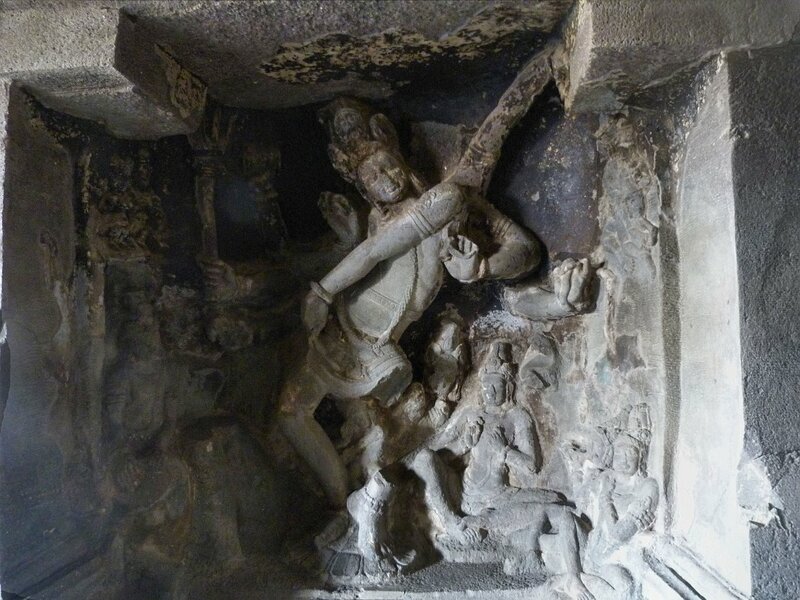 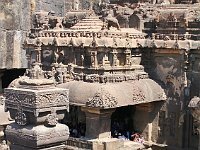 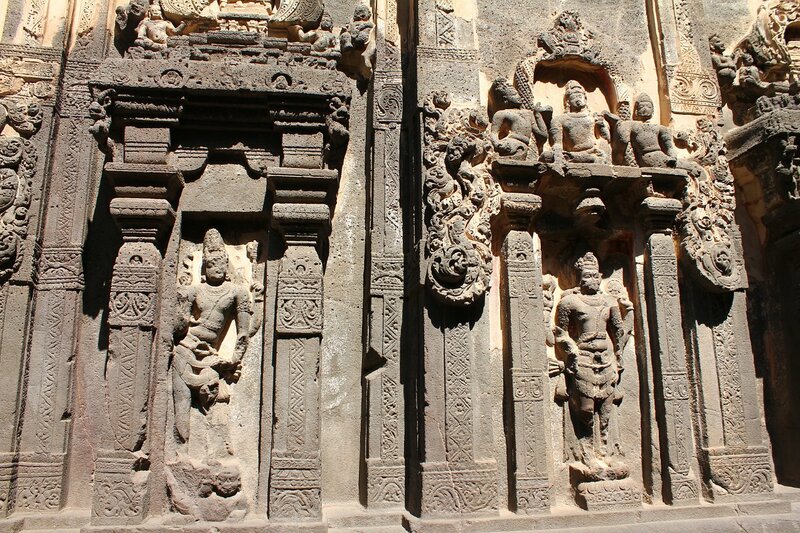 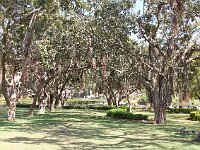 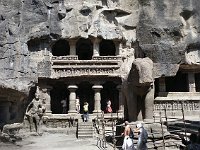 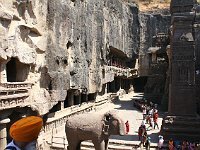 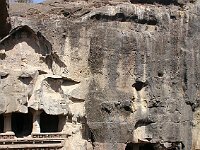 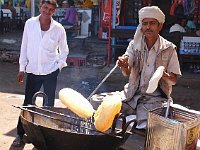 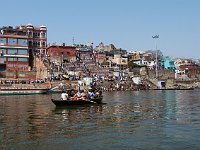 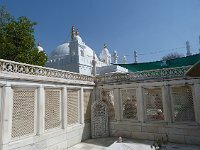 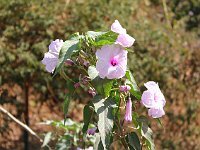 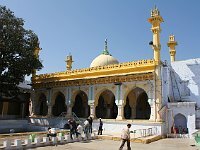 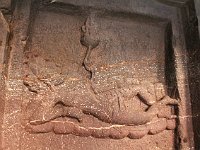 Some are carved into the rock, others -- such as the magnificent Kailash Temple -- were carved out of the rock, leaving a free-standing structure which is really a sculpture carved out of the side of the hill. 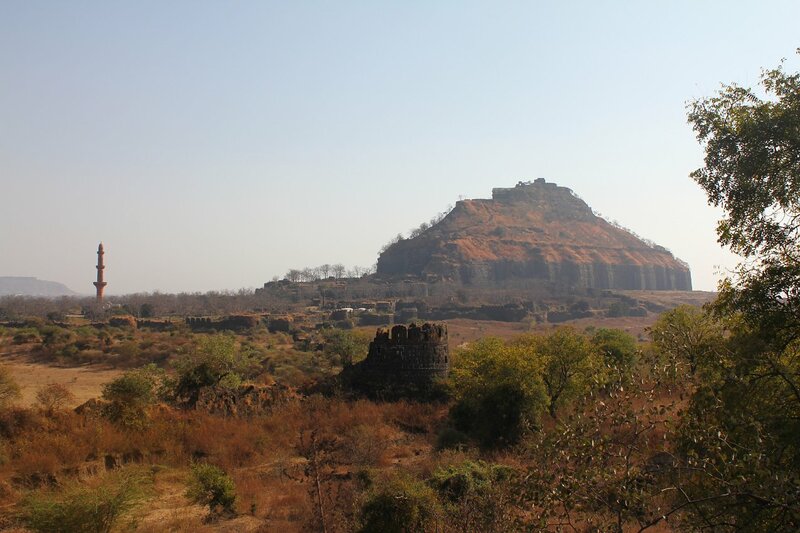 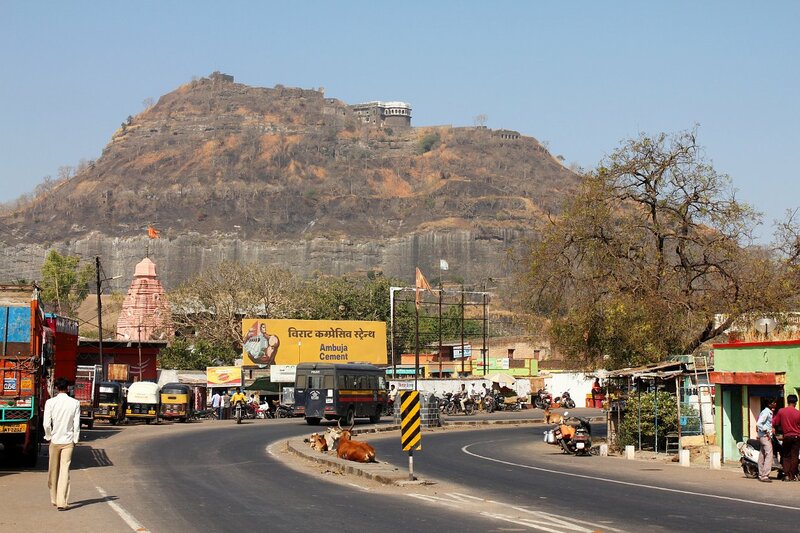 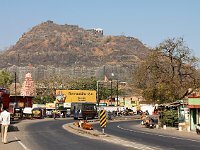 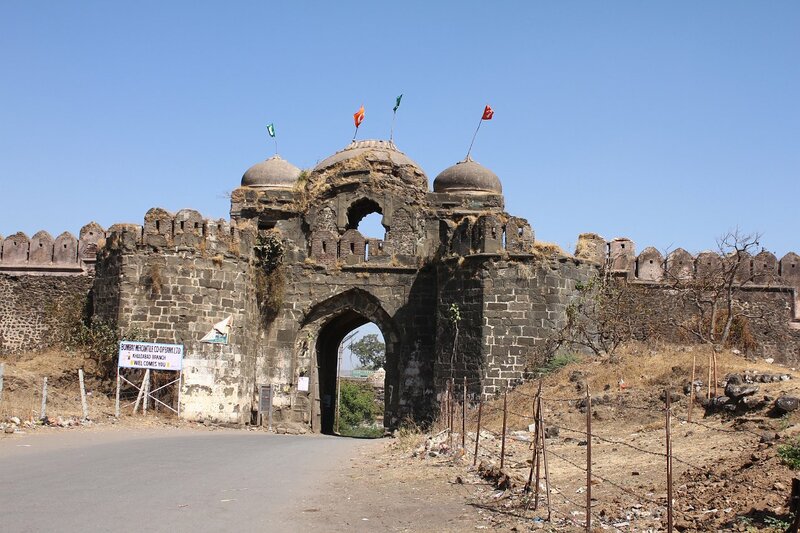 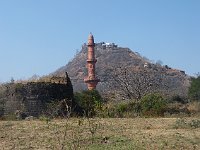 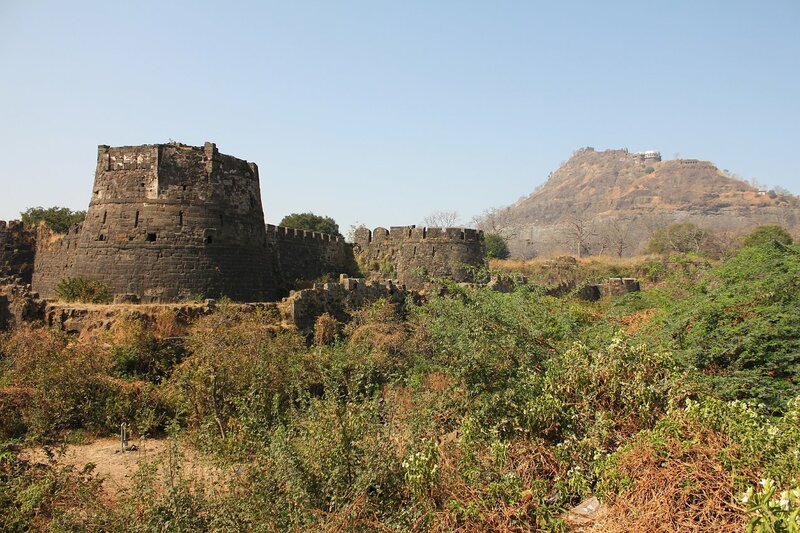 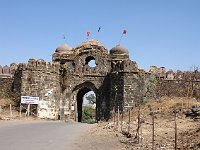 1 Ellora The road from Aurangabad to Ellora passes by the hilltop Daulatabad Fortress. 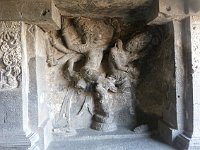 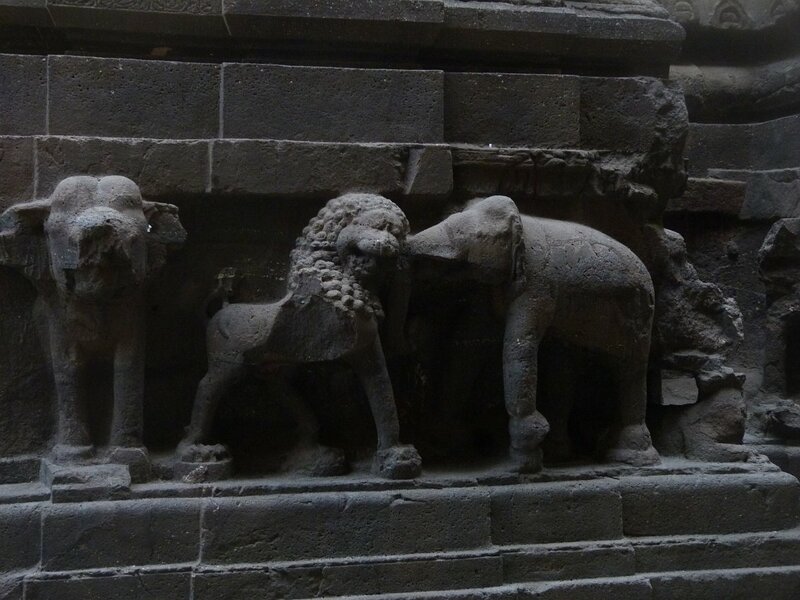 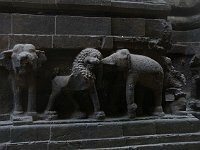 26 Ellora Lion and elephant -- kissing? 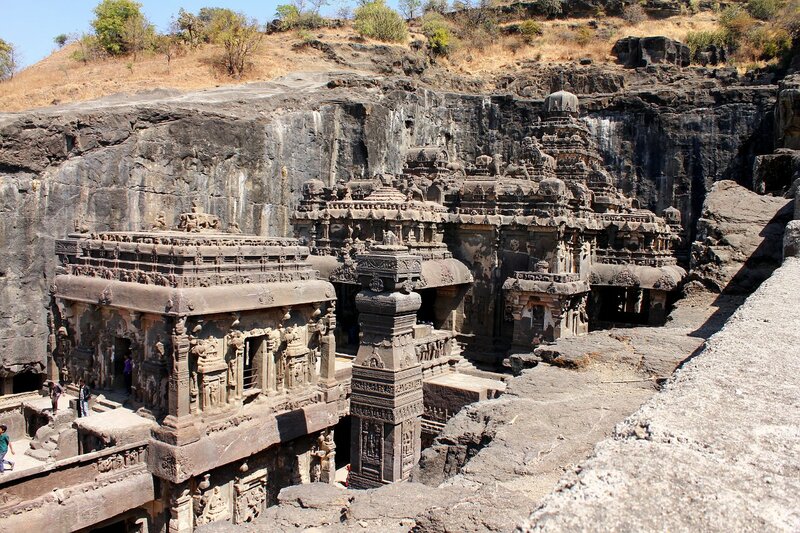 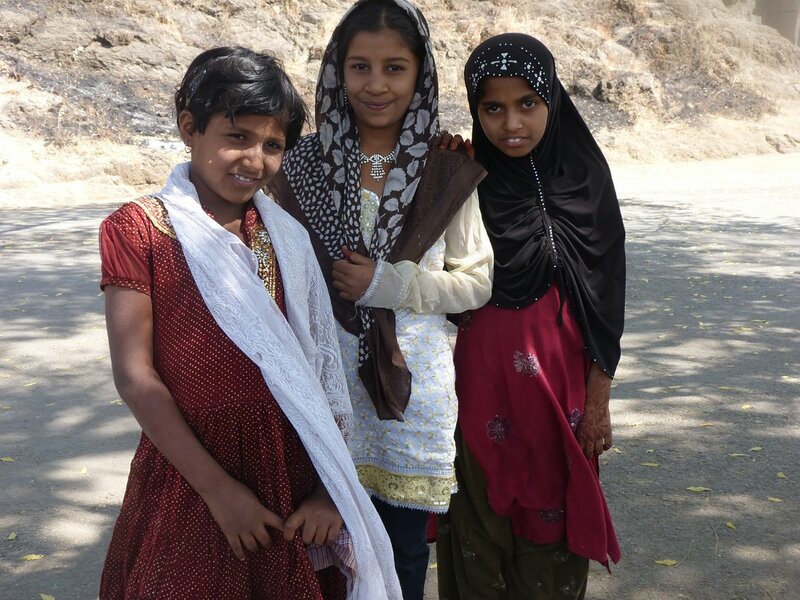 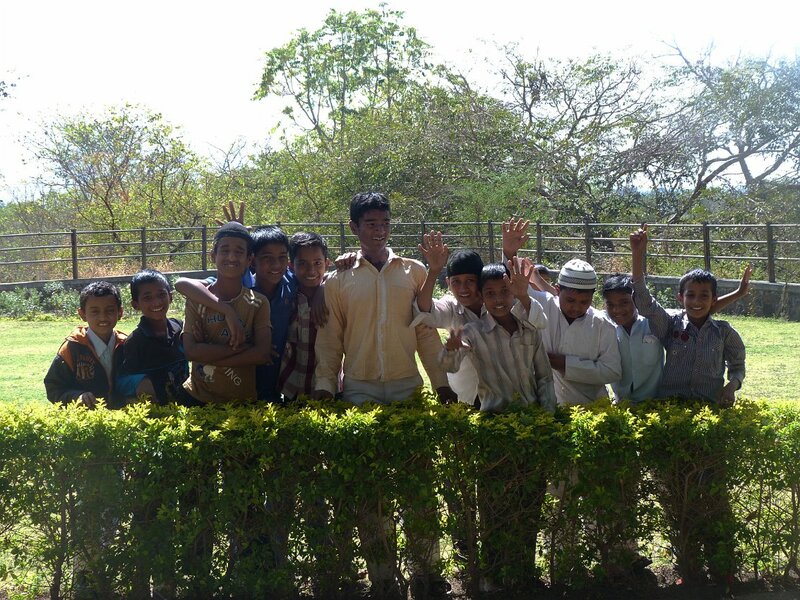 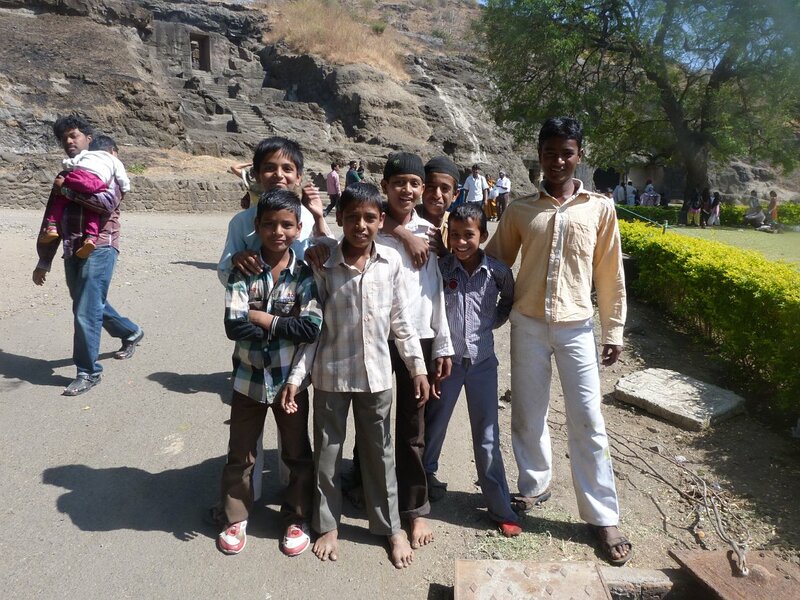 27 Ellora Remember, we are standing in a hole in the hillside. 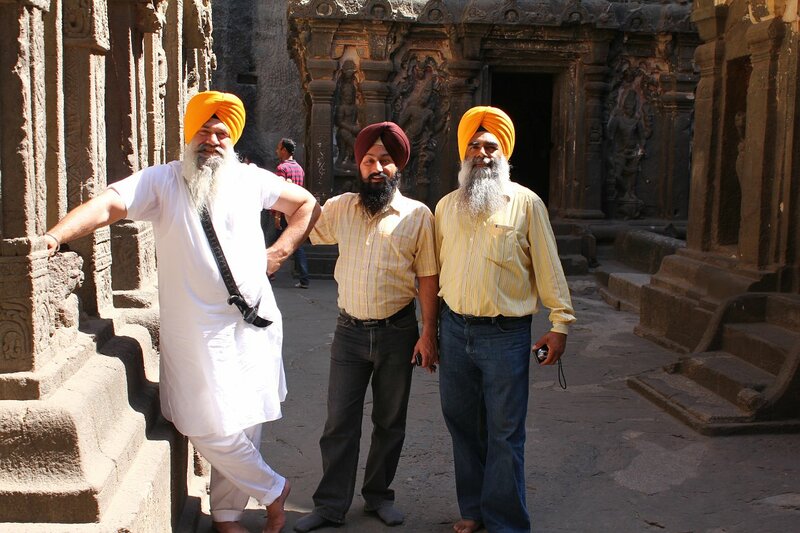 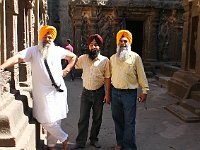 30 Ellora Mr Singh, Mr Singh and Mr Singh wanted John to take their picture; in return, they took his. 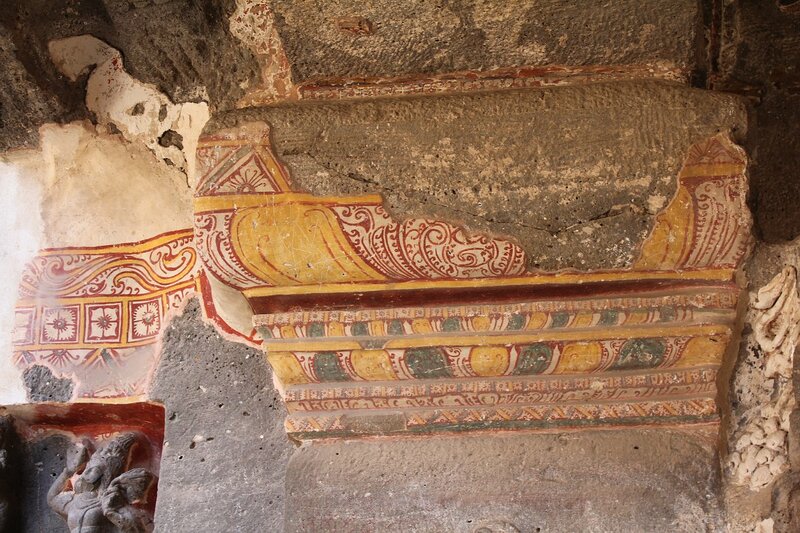 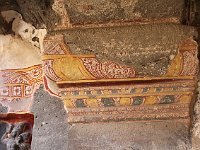 38 Ellora It was once all richly painted; would we like it as much like that? 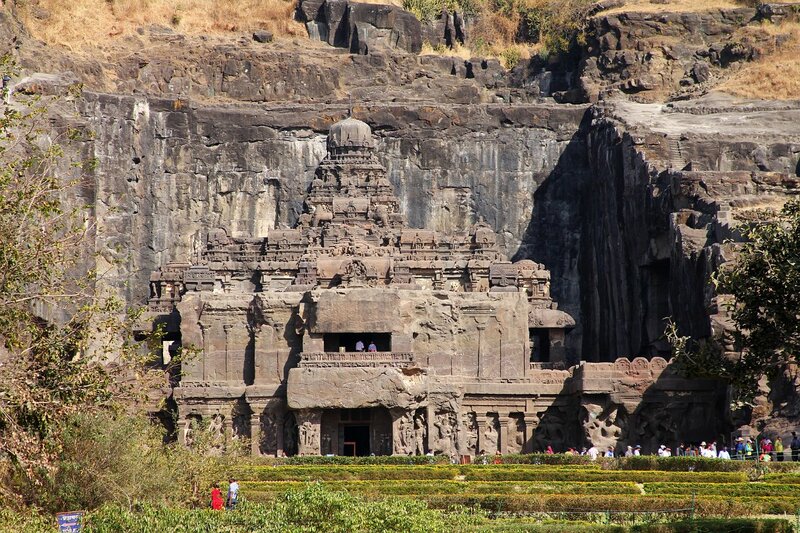 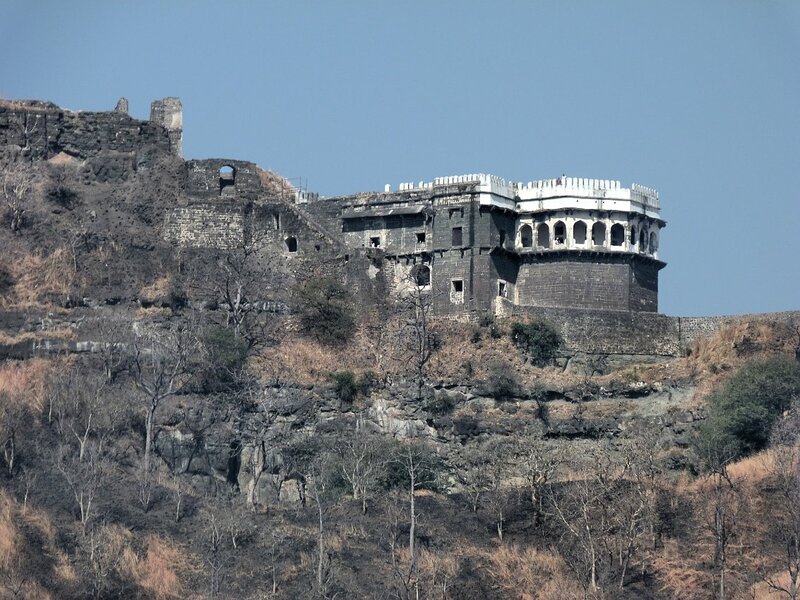 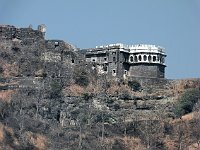 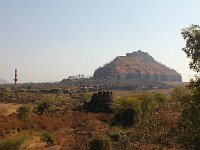 45 Ellora Kailasa Temple viewed from above shows clearly how it is carved out of the hillside. 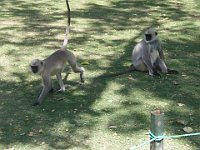 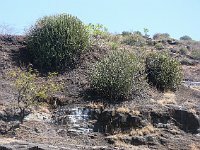 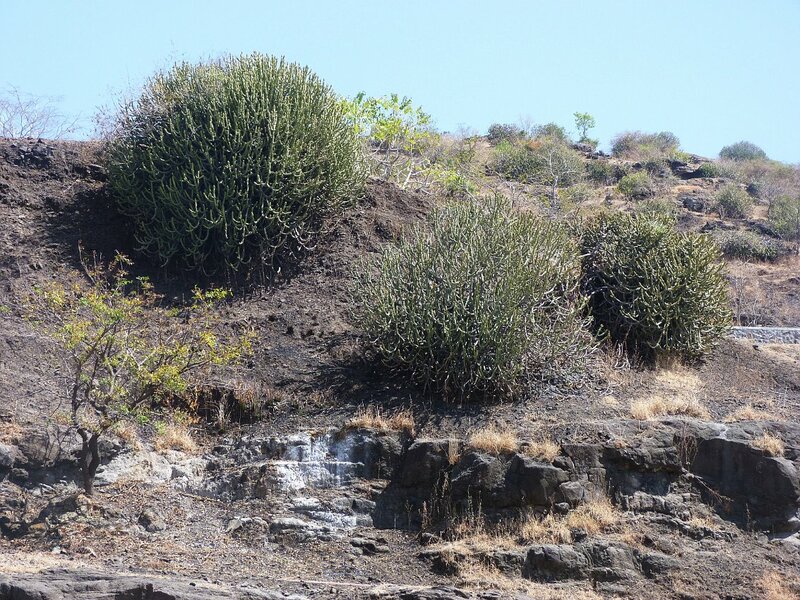 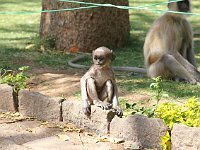 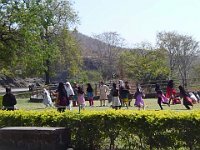 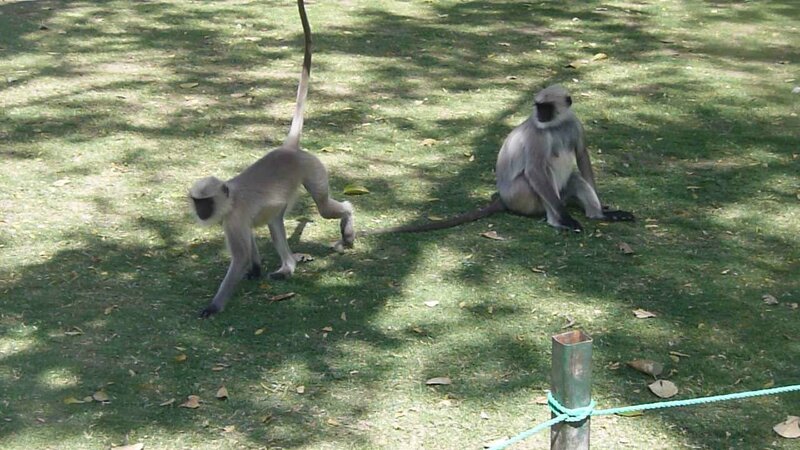 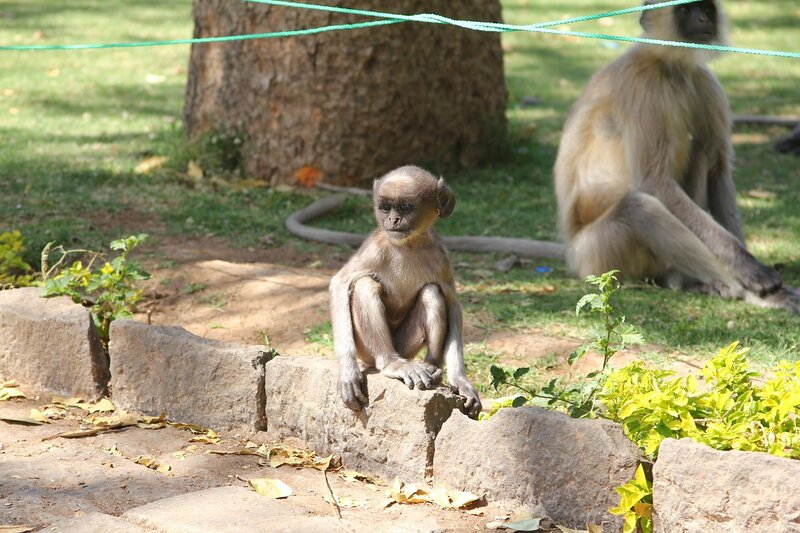 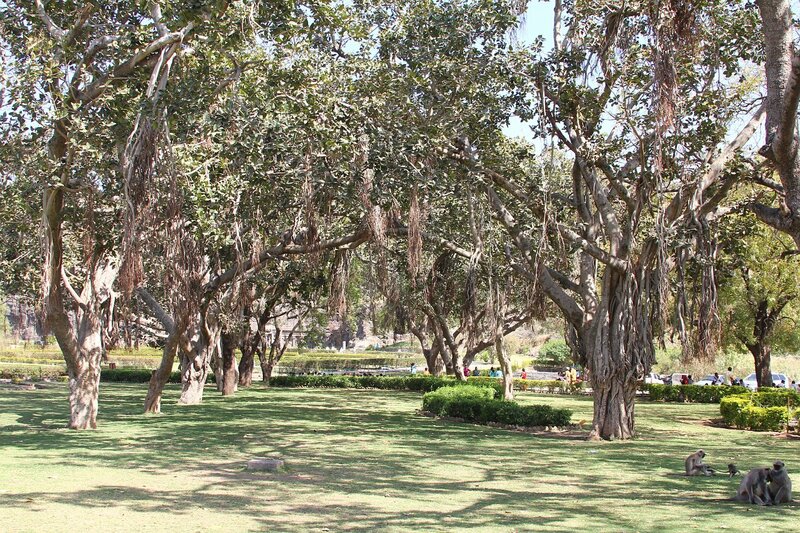 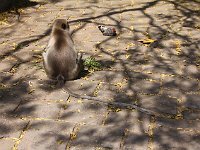 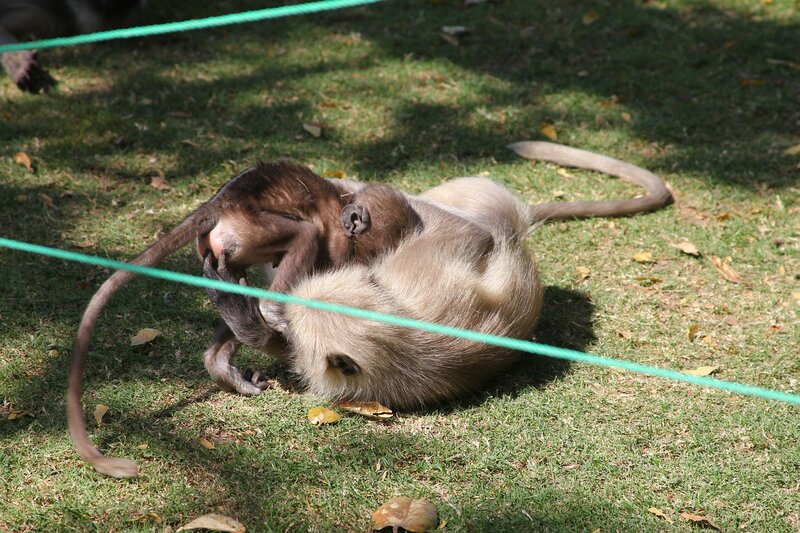 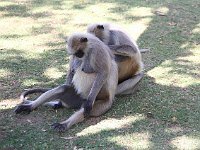 65 Ellora Langurs have really long tails. 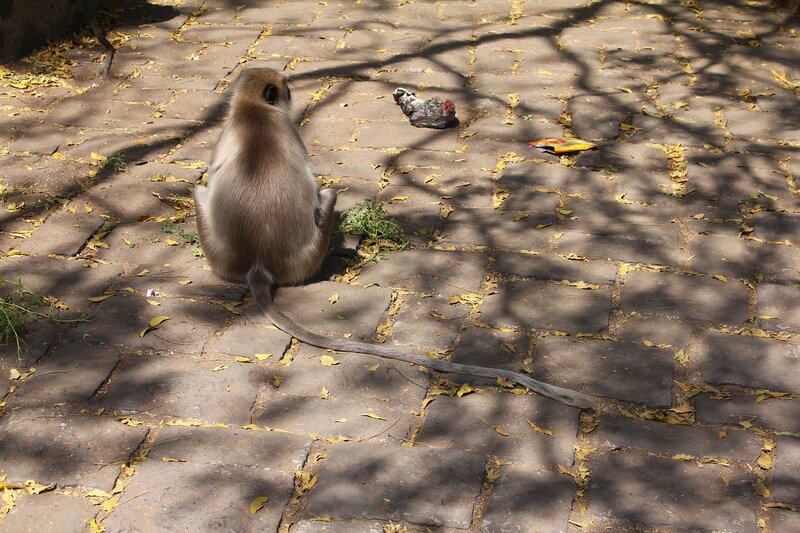 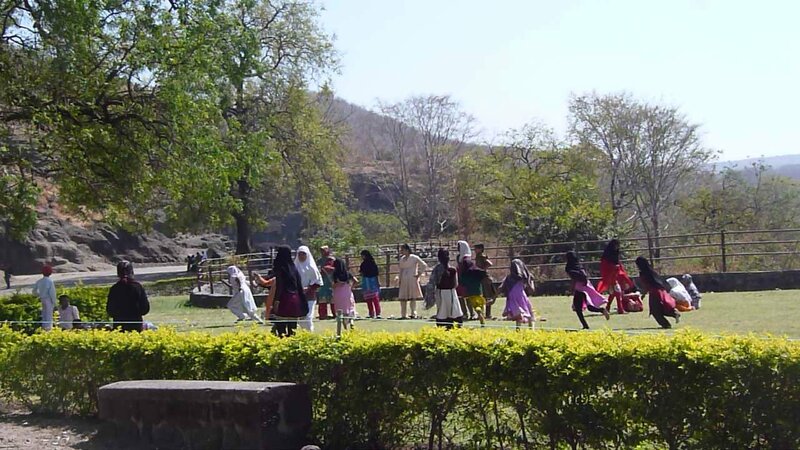 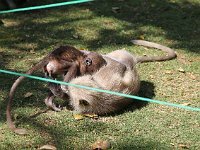 68 Ellora Monkies spend lots of time picking bugs off each other. 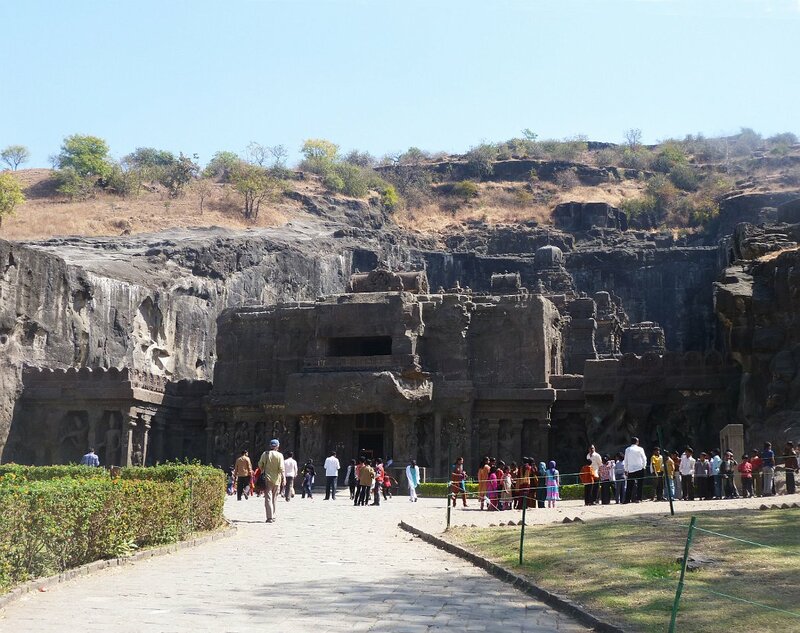 74 Ellora The view from farther off shows how the temple is carved out of the rock. 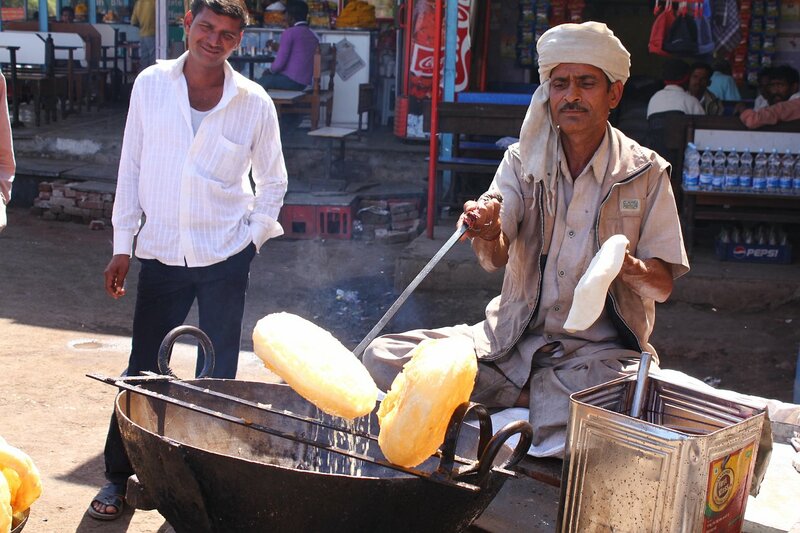 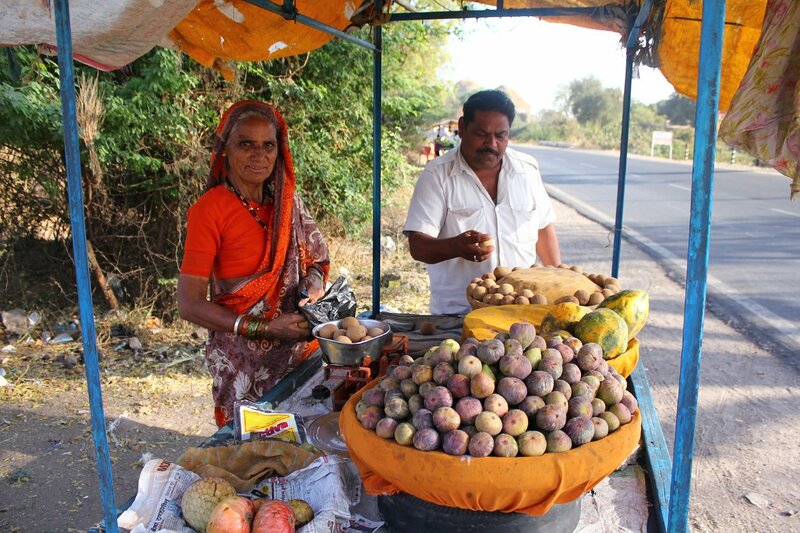 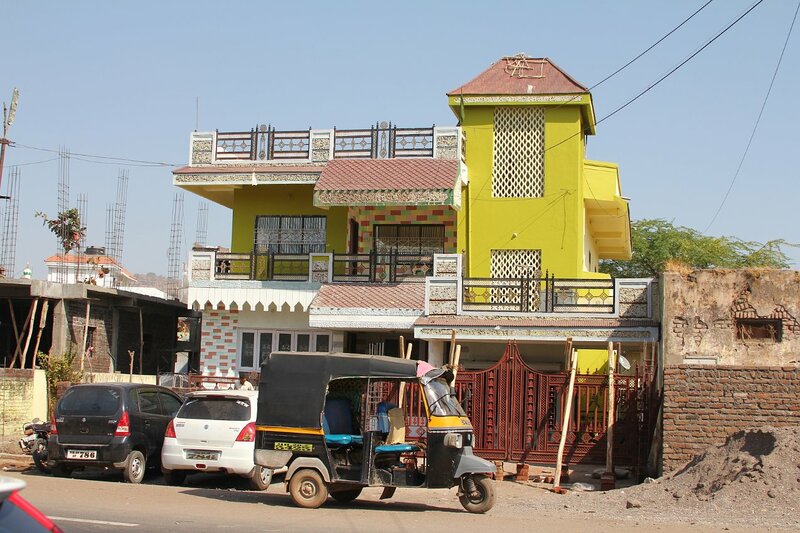 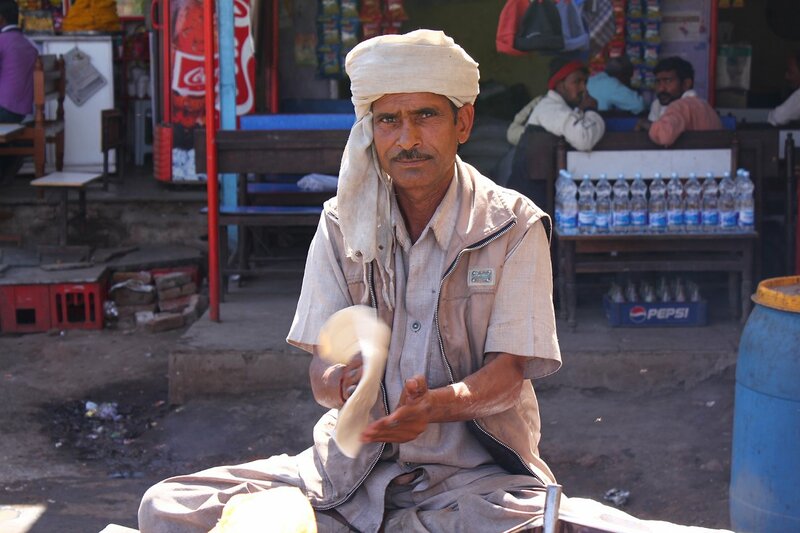 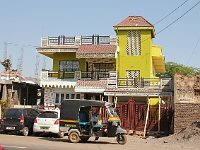 76 Ellora Our driver, Jagan, stopped to buy chikkus for his family and us.